Even if you work a full time job, you may not have all of the money you would like for savings or leisurely activities. 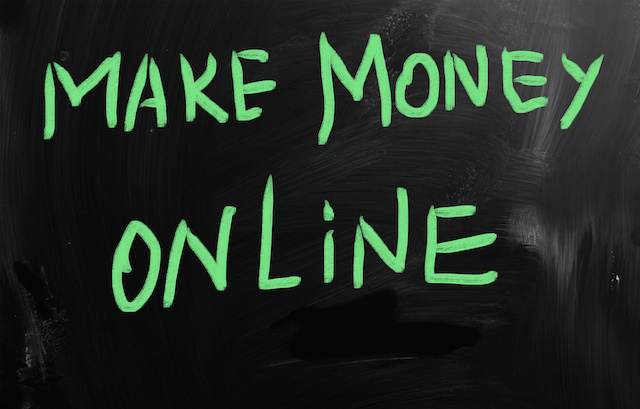 Fortunately, there are ways that you can earn extra income online. What will work best for you depends upon your interests and your skill set. Most systems do not require extensive knowledge of the Internet or computer programming. You should be able to perform the necessary tasks in your spare time. When you are first determining what you want to do to earn extra income online, you need to figure out how much time you will have to dedicate each week. This will have a significant impact on what types of business opportunities you should consider. Whatever time you have allotted, make certain to mark it into your calendar. Consider your extra income sources a regular job that you set aside time for each week. This will keep you focused and increase your profits. If you have a marketable product or service, you can promote your business through the Internet. There is a high demand for quality crafted items. You may choose to make quilts, jewelry, or any other items and sell them through an established site like etsy.com. This site features only handcrafted items so you know the customer base is not searching for mass manufactured items. An alternative to that is to create your own website where you sell your goods. If you do this, make certain that your site appears professional. The color scheme and fonts should all have a visual appeal. The site should be easy to navigate. Include information about yourself and your inspiration for selling your goods. You will need to set up payment options and you should calculate that expense into your pricing. MLM (multi-level marketing) companies can provide you with fantastic opportunities to generate a passive income for years to come. You will need to work hard to create and develop leads. The more people you have in your network, the greater your profits will be. If you utilize social media and set up a blog, you can increase the number of people you have in your network. Offer regular opportunities for others to join your network through webinar presentations. You will be able to pitch the company to multiple interested candidates at once. Then, make certain to follow up with each of them. Your blog can contain tips for how to make the most from MLM efforts. Provide step-by-step instructions for new members. The more authoritative your blog, the more people you will attract. If you have a blog, you can make money through affiliate marketing programs. You will need to establish a focus for your blog and set a regular schedule for your posts. The topic should be of interest to you and have a range of subtopics that you can dive into. Do some research prior to selecting a subject. Some of them have been so over-discussed on the Internet that it will be difficult to secure readers. On the other hand, some topics generate such little interest that you may not be able to find enough people to make your blog profitable. Once you have a steady stream of viewers, you can apply for affiliate marketing membership with a wide range of companies on the Internet. The terms and conditions of each one are different. Make certain that you choose the one that will provide you with the best returns. Many people choose to use the Amazon program because the company offers such a wide range of products. Additionally, the majority of Americans already have accounts with them. There are other ways to earn extra income online, including taking surveys and selling antiques. 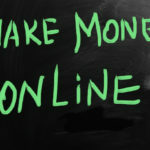 The ones in this article are the ones that require the least amount of effort and will provide you with regular income. If you practice these different ways to make money online, you will be well on your way to financial success. You can get more results if you take the time to learn about each of these forms of income. Then, select those that you feel the most comfortable to begin your income generating plans. Blogging to Make Money – Can YOU Do It? Got a Blog? Make Money Online Today!